This Plague of Days: Editorial team? Assemble! 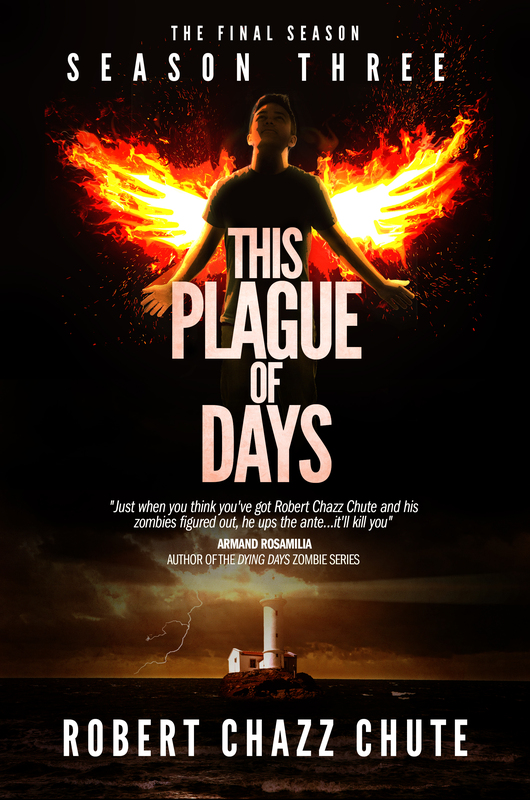 This Plague of Days, Season 3 is off to the editorial team and I’m really excited! I’m so pleased with the way the story developed over time. I thought about writing it faster, but it’s a delicate clock and I had to take the time to get the teeth of the gears meshing correctly. I’ve always said with all my fiction that you should expect something different. Genre fiction isn’t just a well of goofiness. I have something to say, dammit! This book has been years in the writing. One of the things I love, and will miss, about serials is the ongoing contact I’ve had with readers as I write and tweak the manuscript. Your feedback made a huge difference and the readers who connect with me on Facebook have been really helpful. I wasn’t going to include an epilogue. Editors and agents (famously) don’t like epilogues. A survey of my readers showed you guys do want an epilogue. You want things wrapped up so I did it in a big way. In the end, the epilogue added a new dimension and more opportunities for twists and surprises. This sort of feedback simply isn’t possible with a book that’s a one-off. TPOD has a group of readers anxious to see the finale and I promise a big and surprising finish. Whatever you expected, I’ll ask you to put that aside. Whatever you’ve read before, this ain’t that. Yes, zombies. Yes, vampires. No, no easy answers and no solutions you’ve seen before. Yes, your questions will be answered, though there will be a few you’re going to have to answer yourself. Meet me halfway in the give and take of the experience. 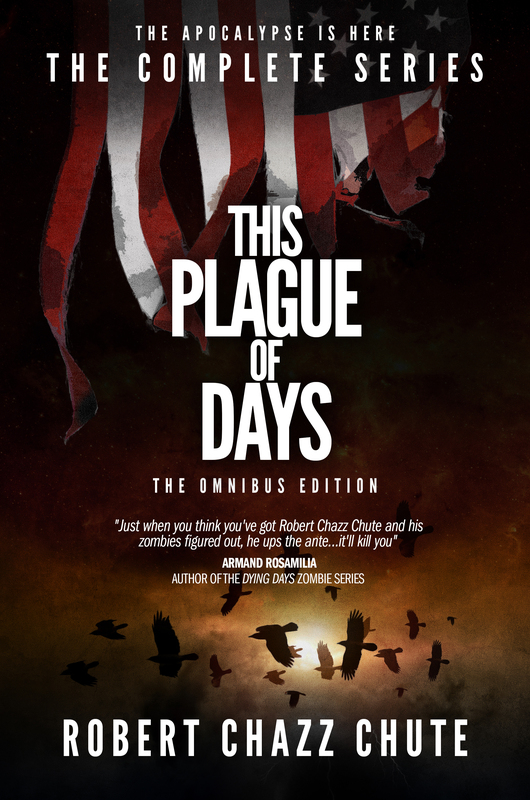 We’ve added three new beta readers and discovered the bug in production that allowed some typos to slip into Season 1. It wasn’t the editorial folks, but a file management issue. 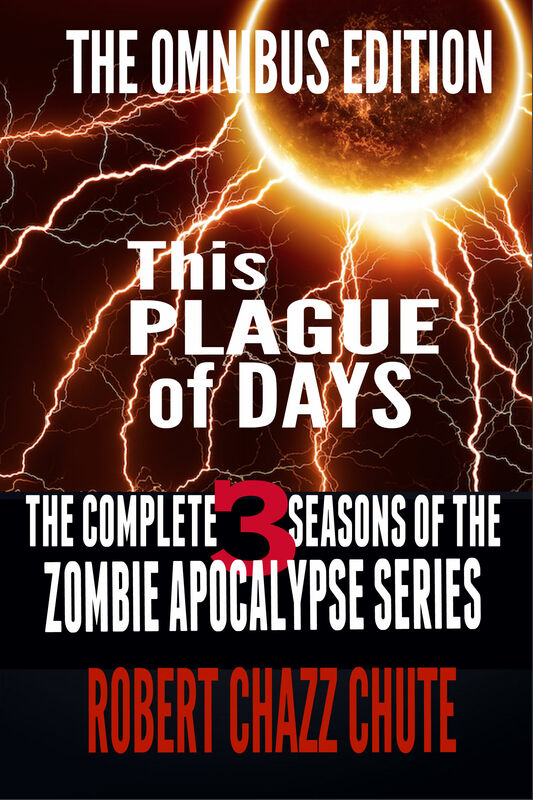 We’re working to fix that as quickly as possible so a corrected volume will go out previous to the release of Season 3 and This Plague of Days, The Complete Series. A few people have asked about getting This Plague of Days on other devices. I do have books available on other platforms, but it seems Amazon is still the platform that moves my books. Eventually all my books will be available in Nook and Kobo and Barnes and Noble, assuming those platforms are even around next year. (But that’s another topic for another blog.) Suffice to say, if I thought I could sell books on the other platforms, I wouldn’t hesitate, but so far, they haven’t proved themselves. 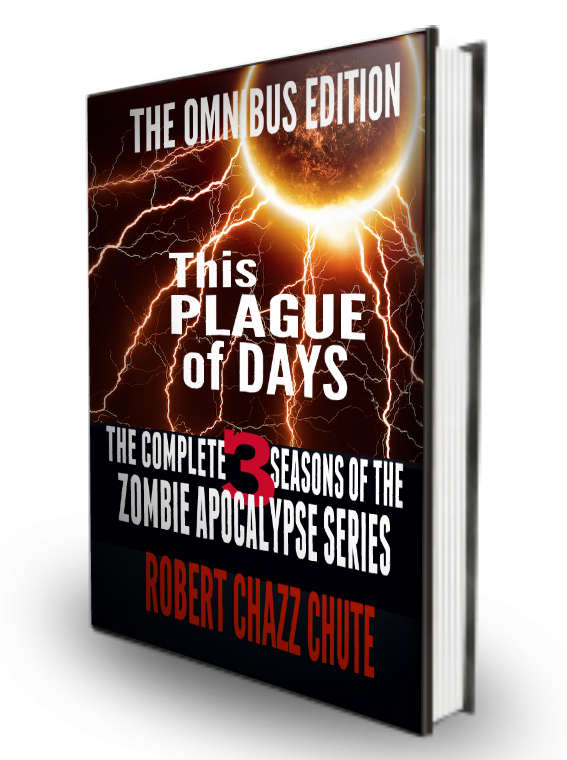 I had hoped to get This Plague of Days, The Complete Series together in one huge book. Unfortunately, it’s too big a book for my regular printer to handle. I’m exploring other options but I’m concerned it might be prohibitively expensive unless it’s a limited edition just for collectors and superfans. My main thought was that it should be in one big book for promotional purposes. Fortunately, a friend in the film business has taken an interest in my books. It’s way too early to get excited over a bunch of variables outside my control, but there’s hope that TPOD will find a wider audience through film. In the meantime, yes, Season 3 will be available in print, too. When we have a solid publication date, I’ll let you all know. I’m doing all I can to make it all close to perfection. When you board my crazy train, all I want to do is blow you away and melt your brain. ~ Follow me on Twitter @rchazzchute and on Facebook here.